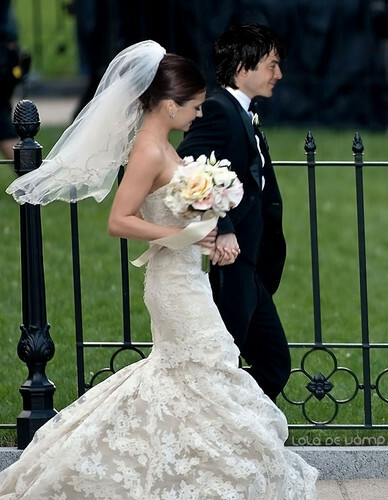 ian nina wedding. Ok, is't a just my MANIP dreaming). HD Wallpaper and background images in the Ian Somerhalder e Nina Dobrev club tagged: nina dobrev ian somerhalder nian the vampire diaries fan art wedding. This Ian Somerhalder e Nina Dobrev fan art contains damigella d'onore. There might also be abito da sposa, abito, abito da sposa da sposa, toga, abito, abito, veste, and robe. Can this happen in real life?! OMG,is that true? I'm new here, sb tell me ? Please tell me that was true!!!!! !